Can Vitamin D Cause or Treat Face Rashes? If you're suffering from a rash on your face, you need to know what is causing this annoying, and at times embarrassing, condition. Several possible causes of face rashes exist, so knowing if vitamin D is the culprit can help rid yourself of (or prevent) facial rashes once and for all. Does Vitamin D Cause a Rash? 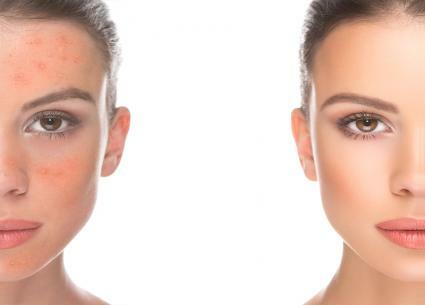 In some cases, vitamin D can indeed cause a rash on your face. However, chances are this will only occur if you have a vitamin D allergy or sensitivity, and after taking vitamin D supplements. Mayo Clinic reports vitamin D supplements can cause allergic skin reactions which include irritation, inflammation, and a rash. The appearance of the rash and time it lasts varies from person to person, but generally isn't serious. If you aren't sensitive to vitamin D, you shouldn't experience a rash from it. If you notice a rash on your face after taking vitamin D supplements, stop taking the supplement and see your healthcare provider. Can Vitamin D Treat Skin Rashes? Vitamin D supplements may also help treat skin rashes. If you're deficient in vitamin D and are experiencing skin problems as a side effect, boosting vitamin D appears to help. A 2014 study published in Dermato Endocrinology found low levels of vitamin D are associated with urticaria, or hives, which is a type of rash. Authors of the review note vitamin D supplementation helped improved symptoms among patients who frequently suffer from hives. Vitamin D Council suggests low levels of vitamin D are associated with more severe symptoms of eczema, a skin condition that can appear as an itchy rash. So if you're deficient in vitamin D and have a face rash, supplementation may help. To help prevent rashes on your face associated with vitamin D, make sure your daily vitamin D intake is within a recommended range. Eat plenty of vitamin D-rich foods like fish, milk, yogurt, and eggs. Exposing your skin to 15 minutes of sun three days weekly should meet your body's vitamin D requirement, according to Medline Plus. Consume at least 15 micrograms of vitamin D daily -- 20 micrograms if you're over age 70 -- but avoid getting more than 100 micrograms per day (which is the tolerable upper intake level for adults) from supplements. If you notice a rash on your face and you're taking vitamin D supplements, stop the taking supplement to see if the rash disappears. While there's a chance your face rash is due to vitamin D supplementation when you have vitamin D sensitivity, it's likely caused by something other than vitamin D. In fact, vitamin D appears to help prevent certain types of rashes from occurring. Link Between Vitamin E and Sexual Dysfunction By Erin Coleman, R.D., L.D.